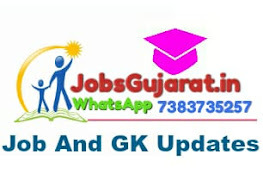 MGVCL Recruitment 2018 – Job notification for Company Secretary Post in HR Department, MGVCL, Vadodara, Gujarat. Applications are invited by MGVCL – Madhya Gujarat Vij Company Ltd. on or before 30 Nov 2018 for 1 vacancy. 35 years (5 years relaxation for Reserved Candidates) as on date of advertisement i.e.14/11/2018. Minimum 5 (five) years’ post qualification (ACS) experience having worked as a Company Secretary in a Public Limited Company with the annual turnover of 300 Crores. Minimum 5 (five) years’ post qualification (ACS) experience having worked as a Company Secretary in State / Central Public Sector Undertaking with the annual turnover of 100 Crores.